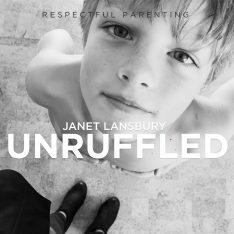 The mum who previously shared the trials and successes of her first year of RIE parenting in Parenting Against The Grain has shared another extraordinary story with me and it brilliantly illustrates the power of simply letting children know we understand them. 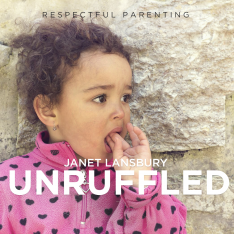 Hi Janet, I wanted to tell you about an incredible encounter I had with a four-year-old today. I was sitting on the floor at an op-shop searching through children’s books for Jess when I heard a commotion between a father and son. The dad wanted to go, but the son wanted to keep playing with the toys. I’m sure you can imagine the scene: “Let’s go”; “No!”; “Get up now”; “No!”; “I’ll leave you here”; and so on. The dad started yelling and dragging his son by the arm but stomped off in a huff when he saw me watching. The boy started crying, and I said to him (remembering the dialogue you’ve provided), “You weren’t ready to go. You wanted to keep playing.” He stared at me. Then his mum yelled out that they were leaving without him. The parents were out of earshot, and so I said: “They’re just saying that, they would never leave you behind. Do you want to run and catch up to them?” And this is the amazing part. He goes: “Yes, I will! Bye!” And he stopped crying, gave me a big smile and ran off. I feel like I’ve cracked the toddler code. Thank you! I still have a way to go, but I get better every day. For much more about the magical practice of acknowledging our children’s feelings (which is a code I recommend following from the moment they’re born) please read The Key To Your Child’s Heart. My son is 1 and a half. I’m starting to see that right now acknowledging his point of view doesn’t necessarily have that magical tantrum- stopping impact I might wish for. In fact I can’t tell yet if it helps him at all. It DOES however help me a great deal. When I say to him, “you wanted ___ and I won’t let you.” Or “it’s hard waiting. You want to do it now.” and so on… It reminds ME that it is hard. That his screaming or clutching or demanding isn’t misbehavior, it’s actually a pretty rational reaction from his point of view. That helps, oh that helps. My son used to leave a shop happily if we said “Goodbye” to the toys as we left. Just taking a few moments to do that helped him transition between looking at things he was interested in and moving on to the next thing. I don’t know who ever thought it was a good idea for parents to tell children they’re going to leave them behind since its not a genuine option for the parent or choice for the child. Apart from creating fear in the child (or worse indifference and/or a stalemate situation) its a lie and parents miss an opportunity to teach their child where the boundary line is. Acknowledging the child’s point of view (and giving them some time to finish what they’re doing if they’re in the middle of looking at something) while insisting they do have to come with you teaches then you do mean what you say but also understand their feelings. Might not avert every crisis but worth trying! Elizabeth, I totally agree with you about pretending to leave children behind. In fact, I consider that abusive. I like your idea about saying “goodbye to toys, but I’m not sure that would work with a four year old. YES, we need to learn to set boundaries confidently, for our own sake and that of our children. Thanks for sharing, Elizabeth. Its one of my pet peeves- it just teaches them to ignore everything their parent says until that point and then to associate the parent leaving with being abandoned. Then people wonder why they have a clingy child who won’t listen to what they say! At work if a parent tries it I take the child by the hand and walk them to the door saying “Your mummy said its time to go home so you need to go with her” They’ve usually had lots of warnings and opportunities to finish what they were doing by that stage, if not I’ll say “You need to finish that and go with you mummy”. Should have given her more credit. I tell my 15 month old things like this all the time. DD, 5 minutes until bedtime, 4 minutes until bedtime, 1 minute until bedtime. I realize that she has no exact understanding of time but I feel that it prepares her for what is coming, especially if I do it consistently and with many things (bedtime, dinner time, time to leave the house, etc.). Since beginning this (after reading a post from Lisa or Janet, not sure who) I find that the transition is easier for us. Beautiful illustration of the freeing nature of being heard and understood. 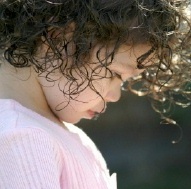 Acknowledgment – I hear you, I understand you – is truly a gift that we can share with people of all ages. It got me through some rough times with my mother when she had Alzheimers. Janet, thank you for sharing this! I will post it on my FB page. If we were playing at a friend’s house I would show my son where the hand on the clock would be when it was time to leave, something physical and real for him to understand, after all I’m sure most parents 5 minute warnings turn into 20 minutes etc by the time we’ve finished chatting, put shoes on to go etc, no wonder they have no concept of what 5 minutes actually means! This reminds me of another fantastic example. As a father was holding his baby, she kept smacking him in the face. The father kept telling her to stop, but she wouldn’t listen to him even if he was getting serious with her. 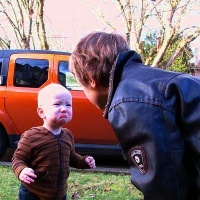 Then, when the baby smacked him one more time, he pretended that it cried and it really hurt. He put his head down so the baby couldn’t see his face. The baby stopped immediately and her expression changed to that of concern and guilt. She cried out shaking for her father to get up. Thanks for sharing your story, Janet. And thanks for letting me share that as well.